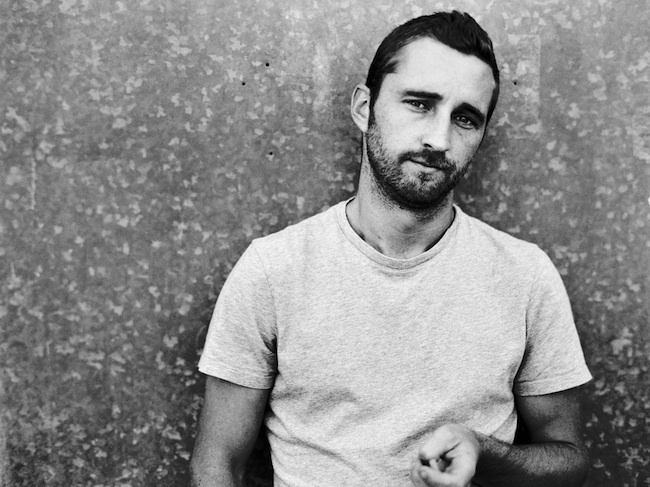 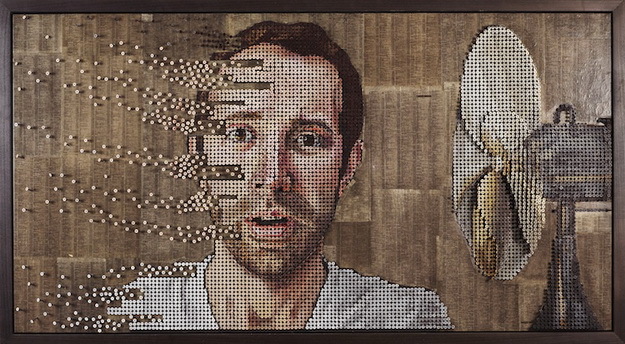 Andrew Myers said he was just hanging out with friends and playing around with screws when he realized their potential in his art. 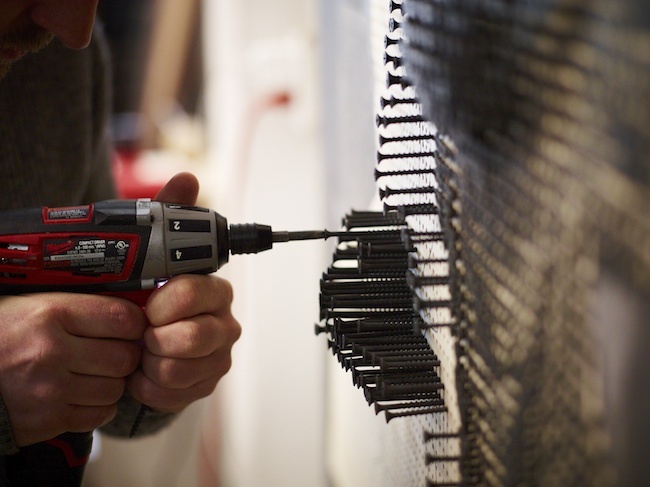 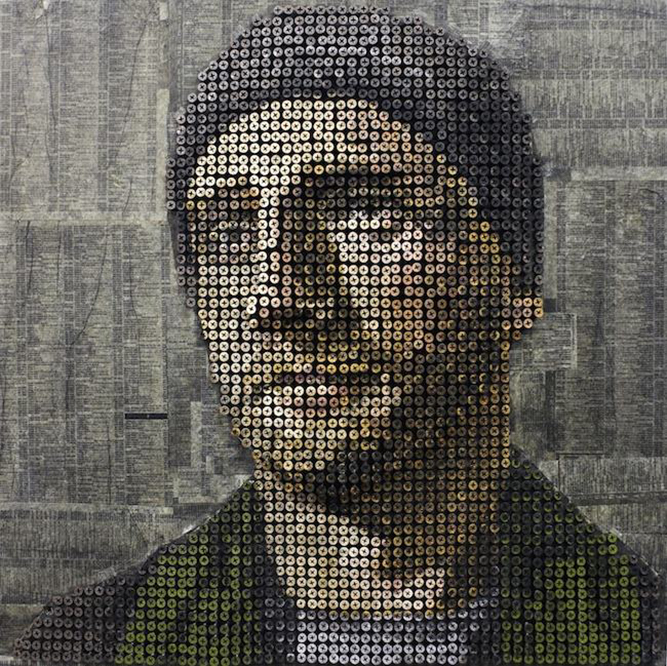 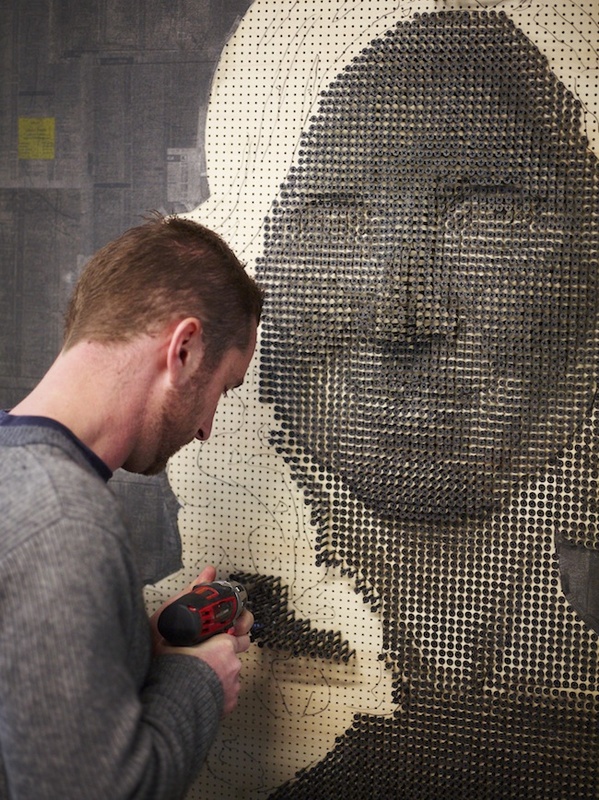 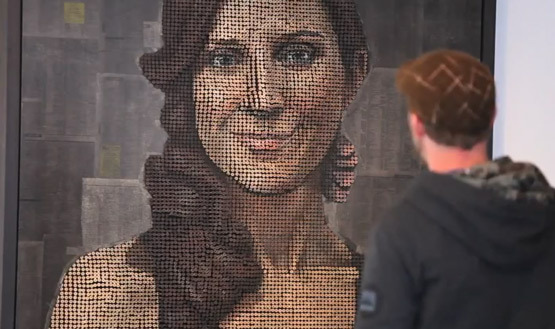 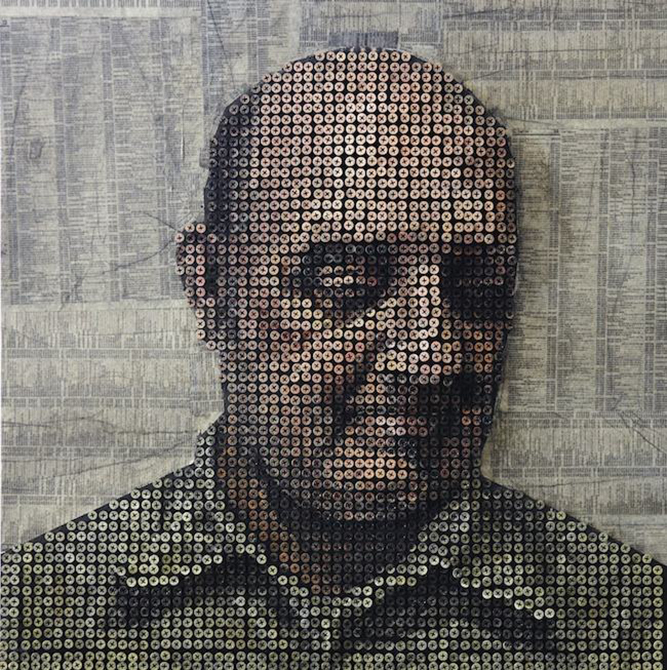 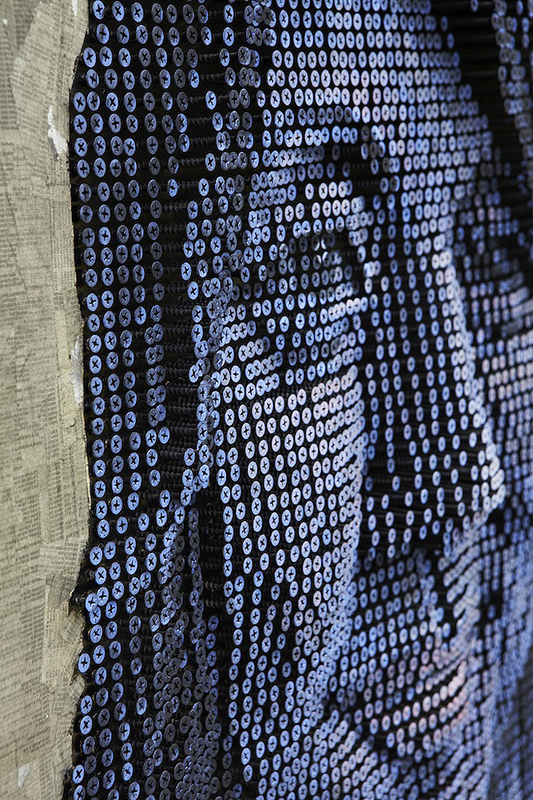 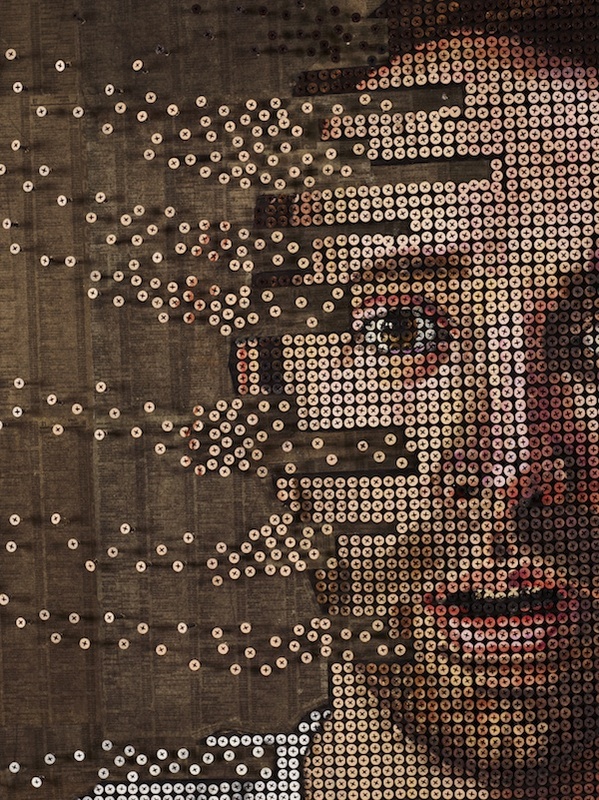 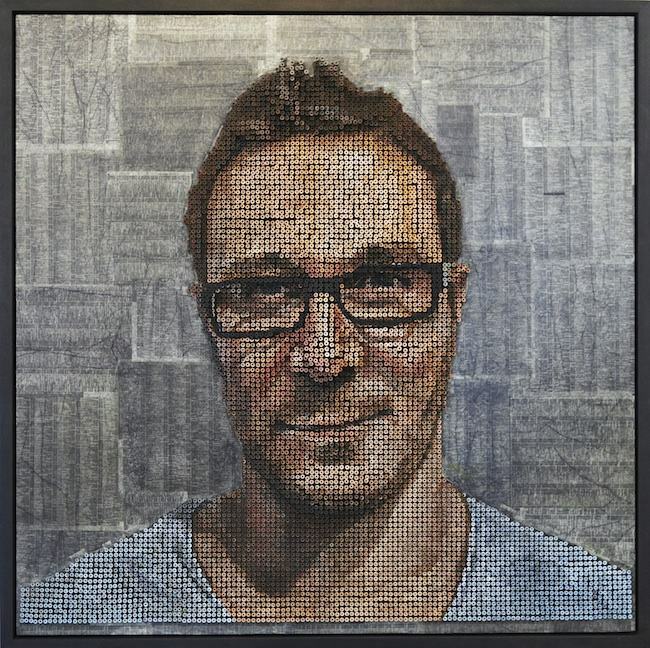 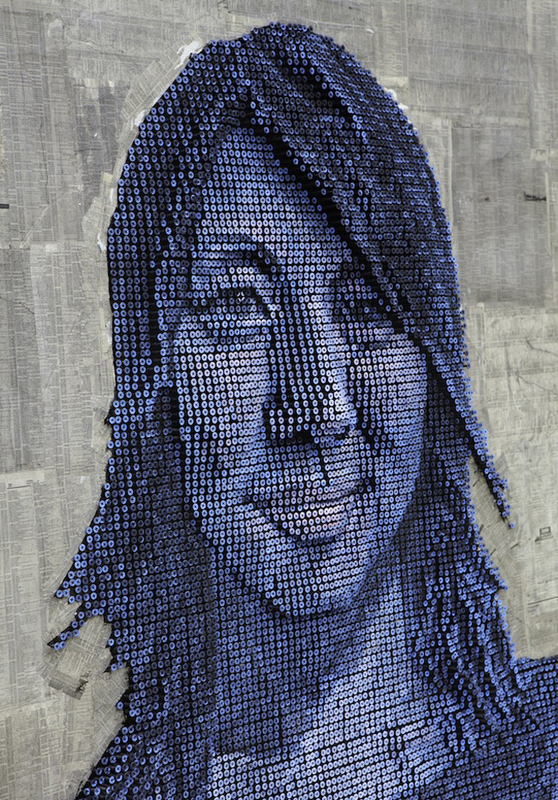 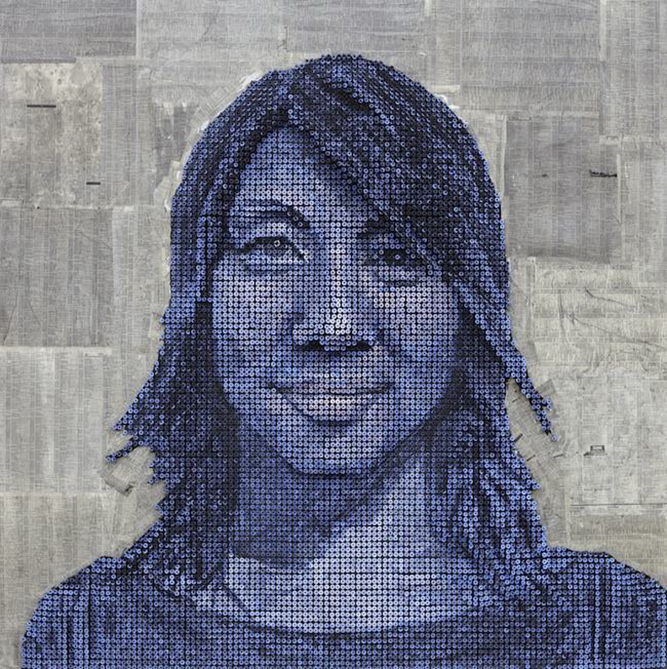 Myers first draws a portrait of his subject on plywood and then drills holes for a grid, in which he mounts the screws into place. 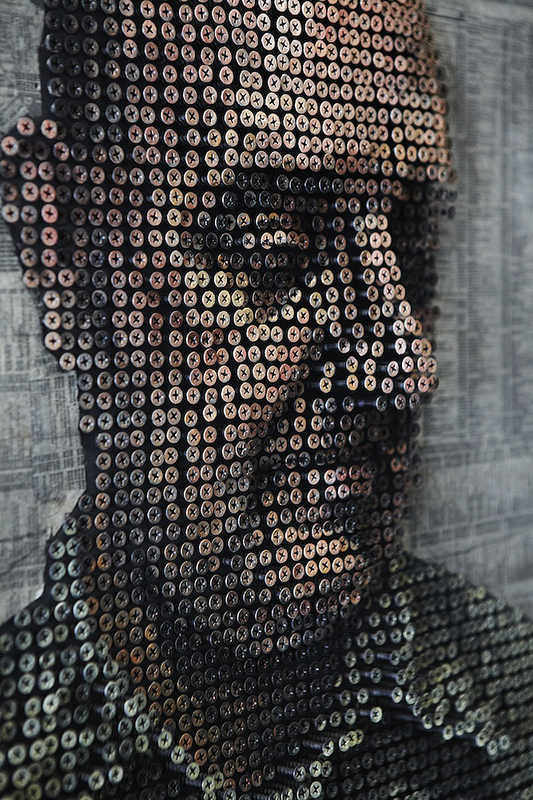 He then paints each of the screw heads to bring the piece to life. 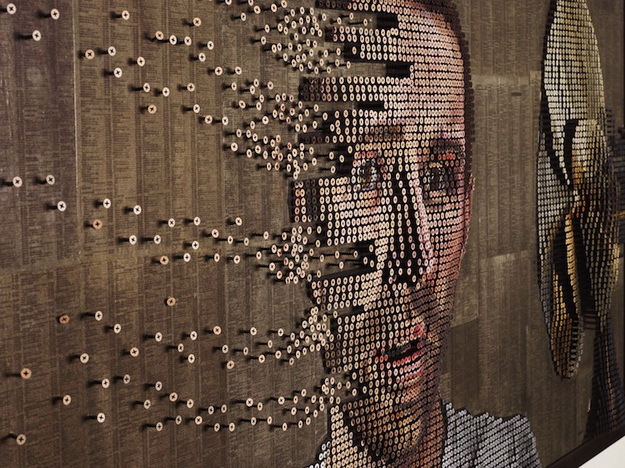 The true fun is the experiment, he said.